A Inn called the "Beer House" was shown here on a map of 1686, though its origin was much earlier. At times it was also known as the Ferry House, and the Pengwern Arms, before it was demolished about 1885. 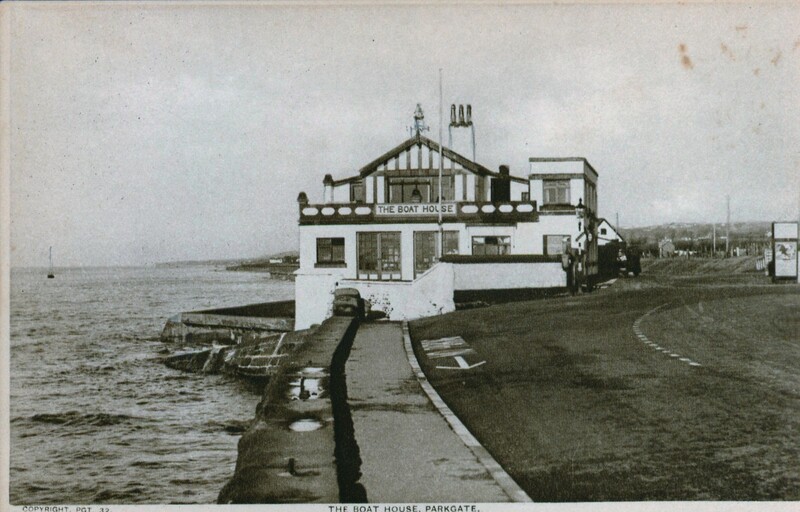 The present structure (built in 1926) began as the Boathouse Café. It has been progressively modified and enlarged over the years; the modern conservatory dining area enables patrons to watch the wildlife on the marshes while they enjoy their meals. 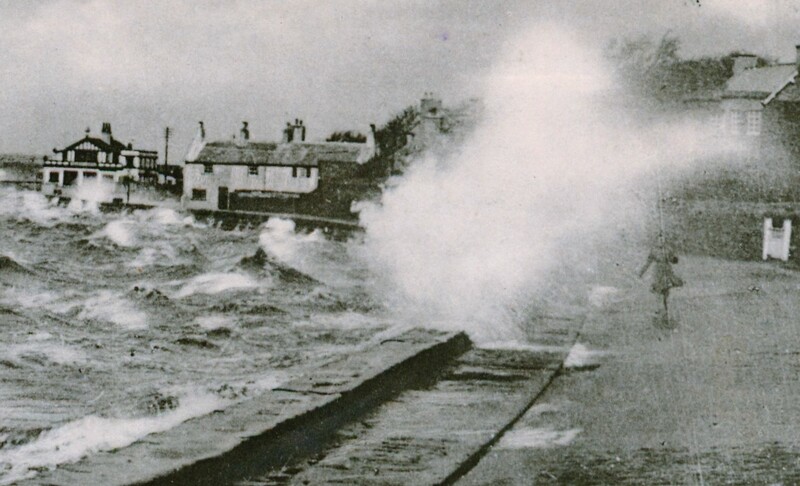 In this picture (circa 1930), a high tide and stormy conditions gives a soaking to an unwary pedestrian. There was a good anchorage just offshore from the Boathouse pub where larger vessels could lay over and crews seek refreshments at the Beer House. A ferry service to Bagilt operated from here and in between 1814 and 1864. In that year the ferry service ended in disaster when the landlord Thomas Johnson of the Pengwern Arms (as it was then called) and his brother Joseph both died when attempting a landing in a heavy swell.